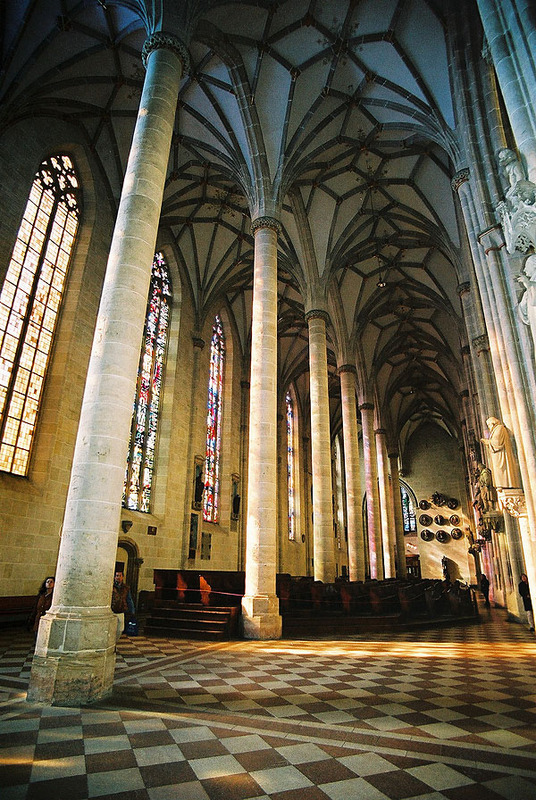 The magnificent early Gothic cathedral, capable of containing 30,000 people was begun in 1377, and carried on at intervals till 1545. 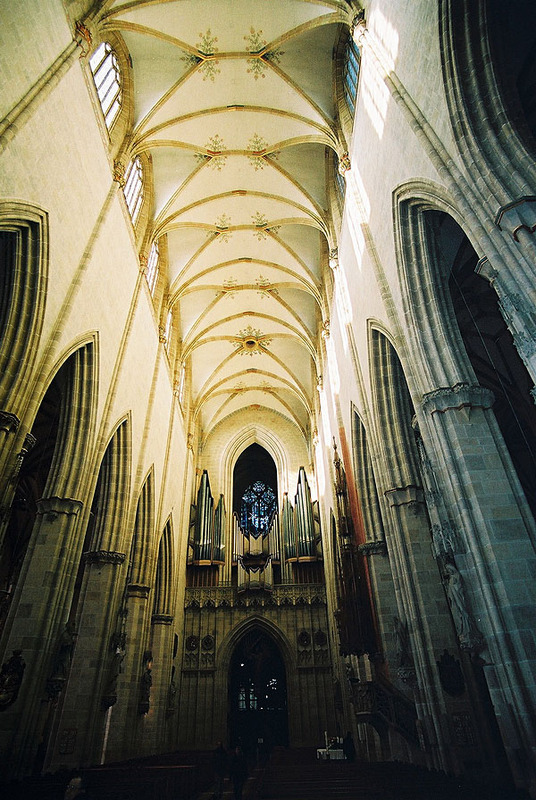 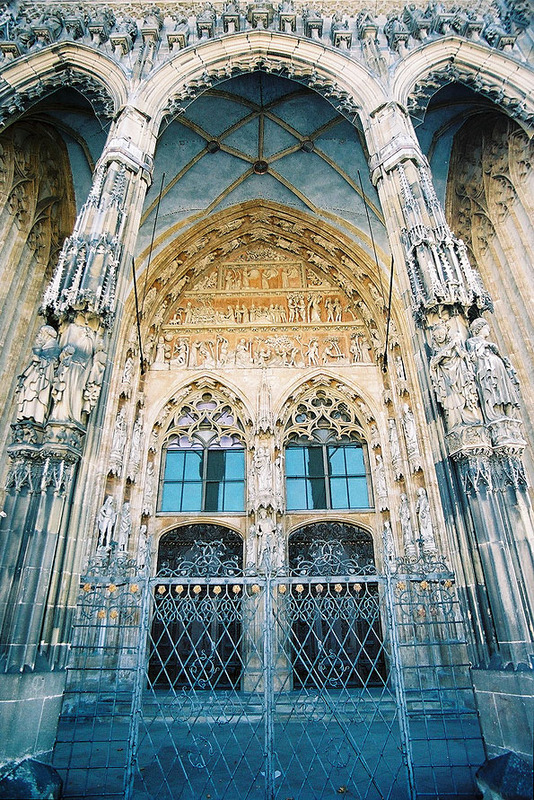 During this period, work was undertaken by some of the greatest builders of German Gothic – Heinrich and Michael Parler, Urlich Ensinger, Hans Kun, and Matthà¤us Böblinger. 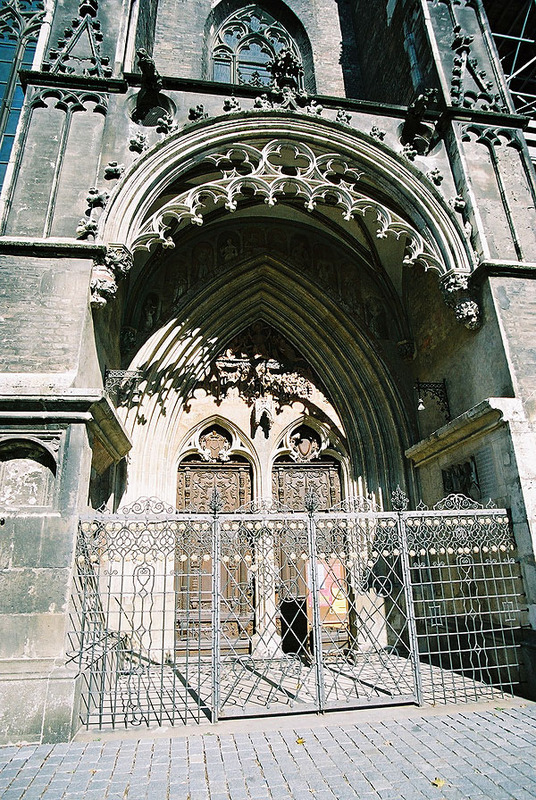 It was left unfinished but in 1844 the work of restoration and completion was begun, being finally completed in 1890. 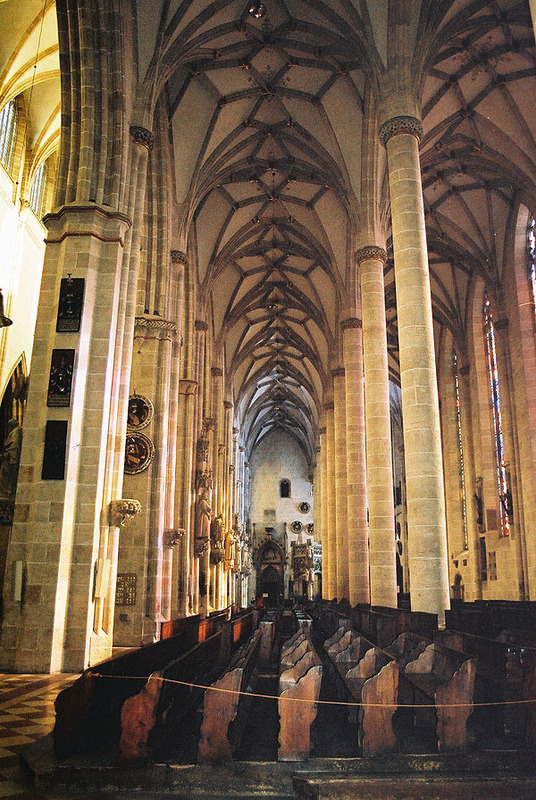 Ulm cathedral has double aisles and a pentagonal apsidal choir, but no transepts giving it the feeling of massive width. 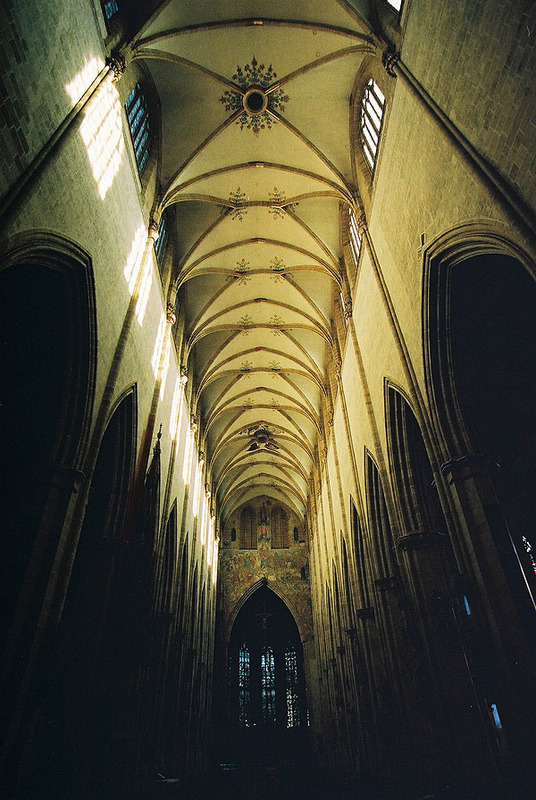 Its length is 464 ft., its breadth 159 ft.; the nave is 136 ft. high and 47ft wide; the aisles, which are covered with rich net-vaulting, are 68 ft. in height. 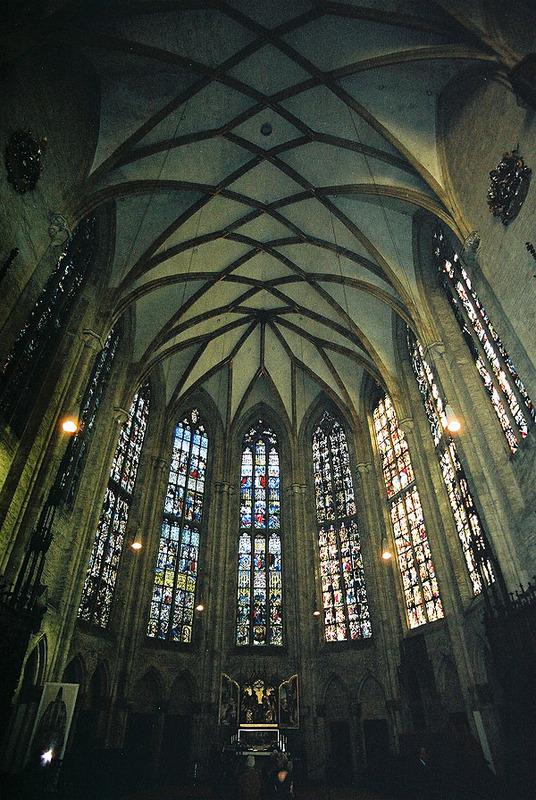 The massive interior is very impressive. 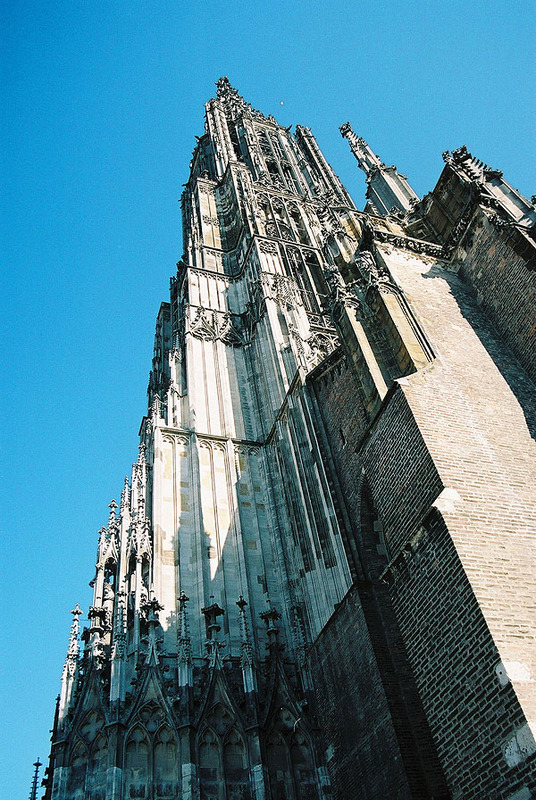 The massive and richly decorated square tower in the centre of the west facade, which for centuries terminated in a temporary spire, was completed in 1890, according to the original plans, by the addition of an octagonal storey and a tall open spire , the world’s tallest at 525 feet. 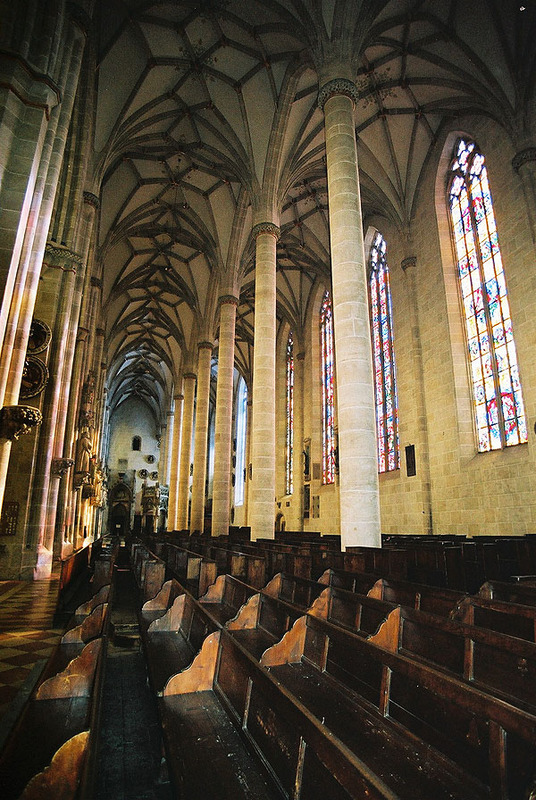 The towers of the choir, rebuilt in the course of the restoration, are 282 ft. high. 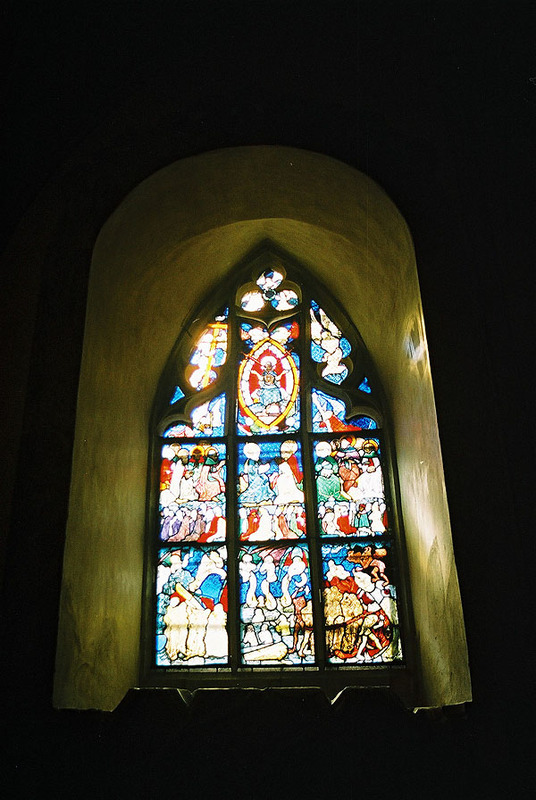 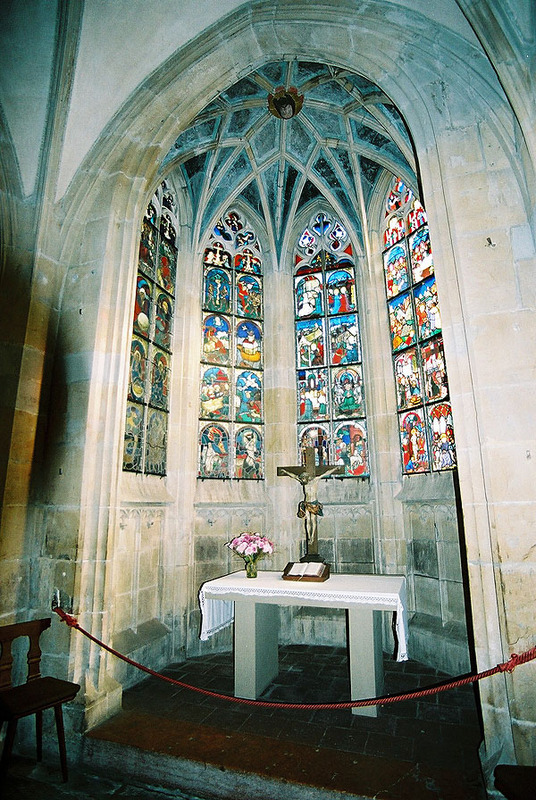 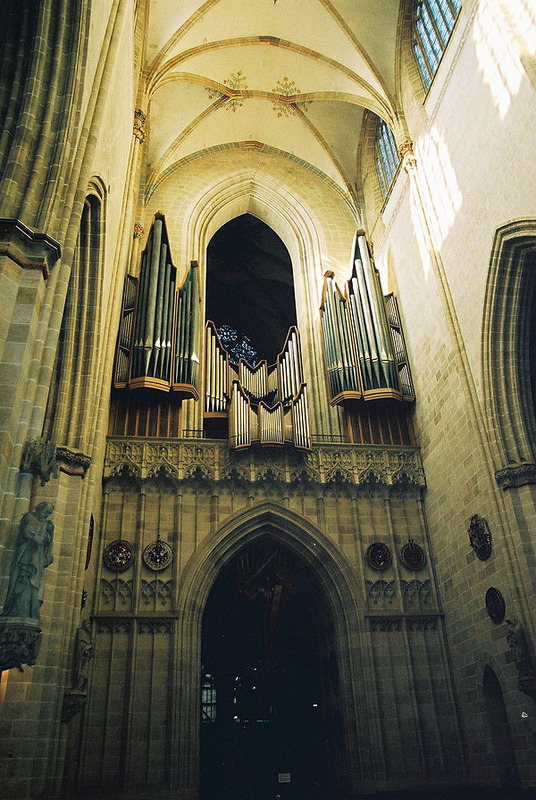 The cathedral contains some fine stained glass, the largest organ in Germany and a number of interesting old paintings and carvings by Jorg Syrlin the elder, Jorg Syrlin the younger, Burkhard Engelberger, and other masters of the Swabian school. 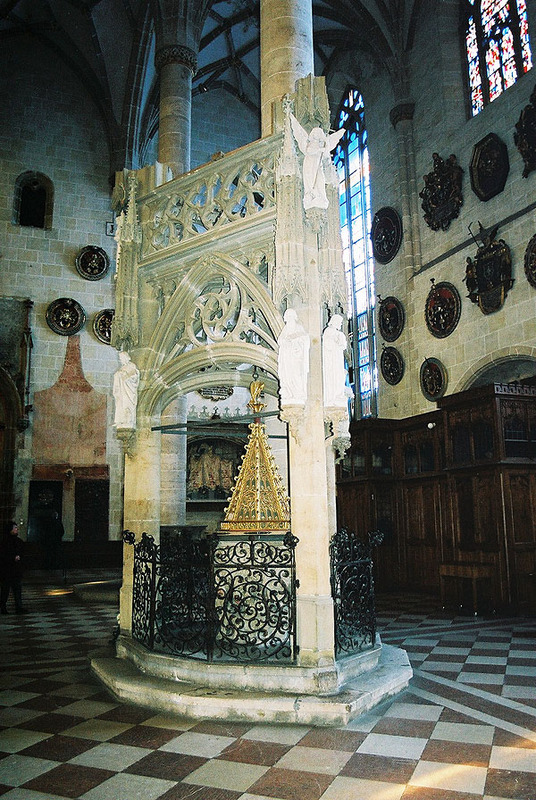 Also, the cathedral contains an altar by Hans Multscher (1443) and choir stalls with figures of philosophers, poets, prophets and apostles Jorg Syrlin the elder.